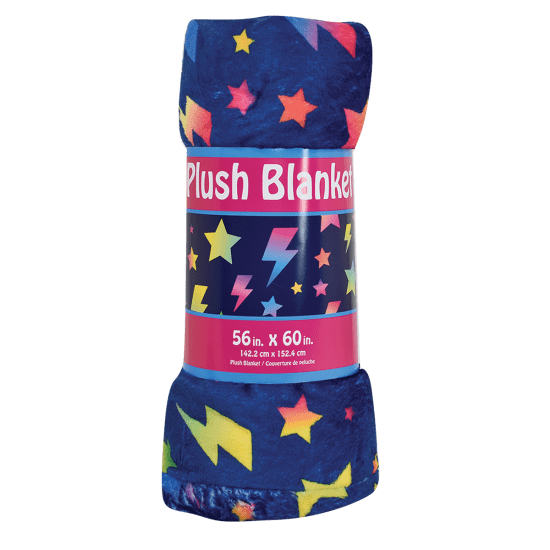 Our stars and lightning plush blanket makes a big impact! 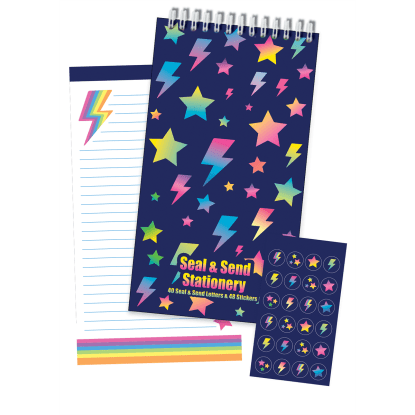 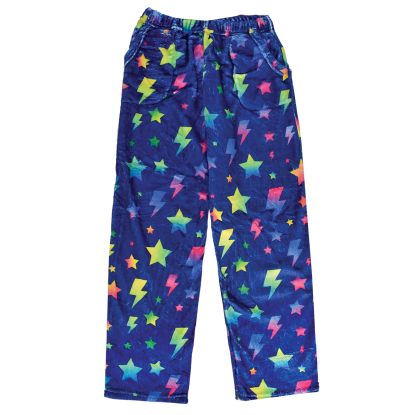 Warm and comfy, this navy blue blanket features rainbow-colored stars and lightning bolts. 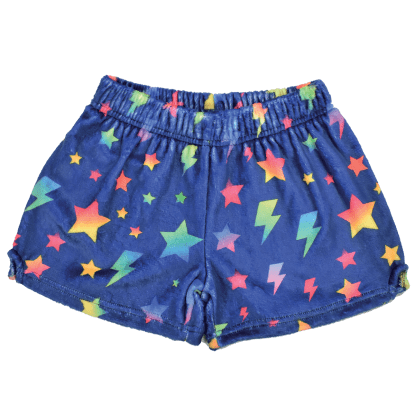 Machine washable, it's great for cozying up at home or on the go.